Related roundups: iPhone 5c, iPhone 5s, iPhone 6When is the Apple iPhone 6 coming out? A release date is expected soon, and a new Re/code report claims the secretive tech company will announce its next-generation iPhone at a Sept. 9 event. CNET points out Apple has introduced a new iPhone every year since the late Steve Jobs unveiled the first in 2007. New iPhones have launched in September since 2011, despite previous rumors a new device would be unveiled at the WWDC (Worldwide Developers Conference) in June. Apple has yet to comment on the rumored event, nor has it said what its next product will be or if it will be named the iPhone 6 (or something else). But a Sept. 9 press event lines up with a reportedSept. 19 release date, allegedly leaked by employees at German carrier Deutsche Telekom earlier this year. In past years, Apple has announced a new product on a Tuesday (which Sept. 9 is) and then releases it stores the following week on Friday (Sept. 19). And Forbes notes that Apple's revenue guidance for the quarter ending Sept. 27 is $37 to $40 billion. To reach the higher end, which would be a 7 percent increase from last year's same quarter, the company would need to ship at least one new iPhone model by mid-September. As phones trend towards "phablet" sizes somewhere between the average smartphone and a tablet, Apple is expected to try and compete with the Galaxy models by releasing an iPhone 6 with a 4.7-inch display and an even larger 5.5-inch display. Different reports, however, suggest the larger model, a full 1.5 inches bigger than the iPhone 5C and 5S, may not be released or even announced until December. The iPhone 5C, which replaced the iPhone 5, has an A6 processor, and the iPhone 5S has a twice-as-fast A7 processor. So if history's any indicator, the iPhone 6 will have a faster A8 processor. Apple also claims every model has improved battery life, so similar boasts are expected this year -- though it's hard to imagine happening if the phone is bigger and faster. The iPhone 5, 5C and 5S had 8.0 megapixel iSight cameras, but experts predict the iPhone 6 will have a 13.0 megapixel camera with optical image stabilization for taking better photos and video while moving. According to Forbes, Apple has improved its camera lenses in recent models to prepare for the higher resolution, which will likely stick around for the next few models. Pretty much every new iPhone or iPad comes with a new operating system, and Apple unveiled iOS 8 in June with an expected fall release date. The most buzzed-about features include a HealthKit app with users' medical information, vital signs and diet/fitness monitoring; CarPlay, for in-car functionality; a HomeKit app that can be a remote control for "smart" household appliances (like an AppleTV); and "QuickType," a SwiftKey-like text assistant that helps users finish sentences rather than just offer correct spelling. Will the iPhone 6 have a NFC (near field communication) chip that allows users to make purchases with their smartphone, like a credit card? Will a long-rumored "iWatch" actually happen, joining the new craze of smartwatches and wearable devices? Will Sapphire glass displays replace Corning's famed Gorilla Glass design? And are new headphones coming out, replacing its Beats-compatible headphone jacks with a Lightning port? The tech giant could do all of those, but expect at least one of those to be left out. Apple typically keeps the previous iPhone models around for a year with a significant price drop. If the iPhone 5S and the already cheaper iPhone 5C remain available for the next year, upcoming holiday shoppers on a budget could have several options besides the likely pricey iPhone 6. Yes, the QuickType feature is a facsimile of SwiftKey. 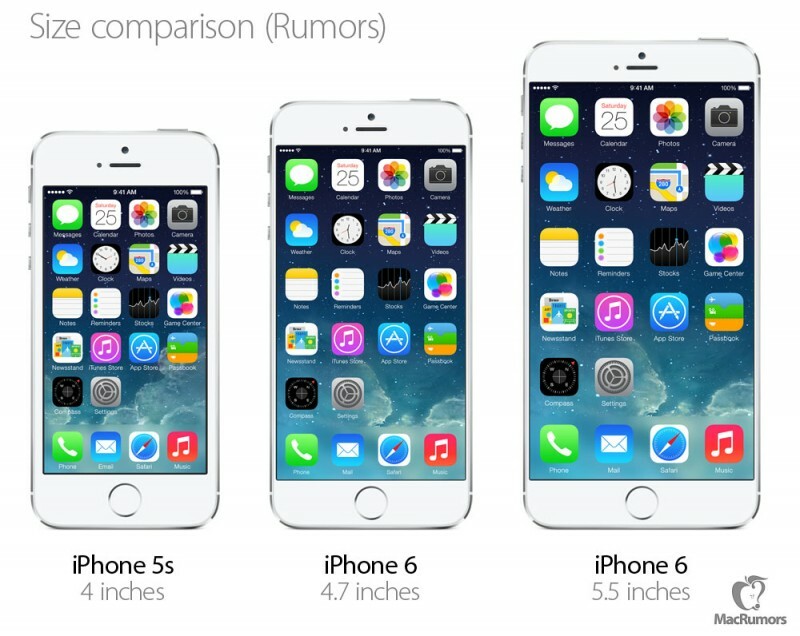 Yes, Android and Windows Phone users will point out their smartphones already have better cameras or bigger screens. And no, there's no way Apple can meet all of its fans' wildest hopes and dreams. Criticism is inevitable but, while iPad sales faltered in the last quarter, the iPhone continues to be an industry measuring stick and a top-selling device that inspires large lines on its release dates. What do you think? Will you get a new iPhone when it comes out?